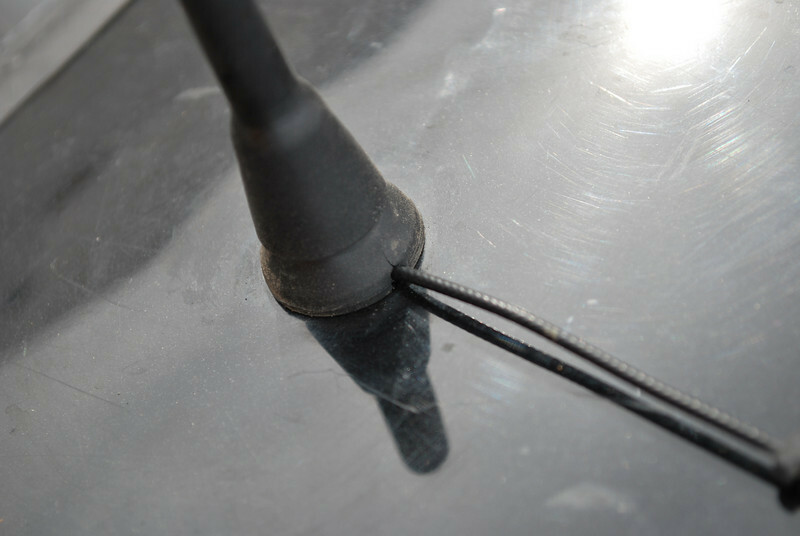 The Sirius antenna cable exits right above the sheet metal. The cut is still visible. I will have to find a suitable sealer later to lock out moisture.